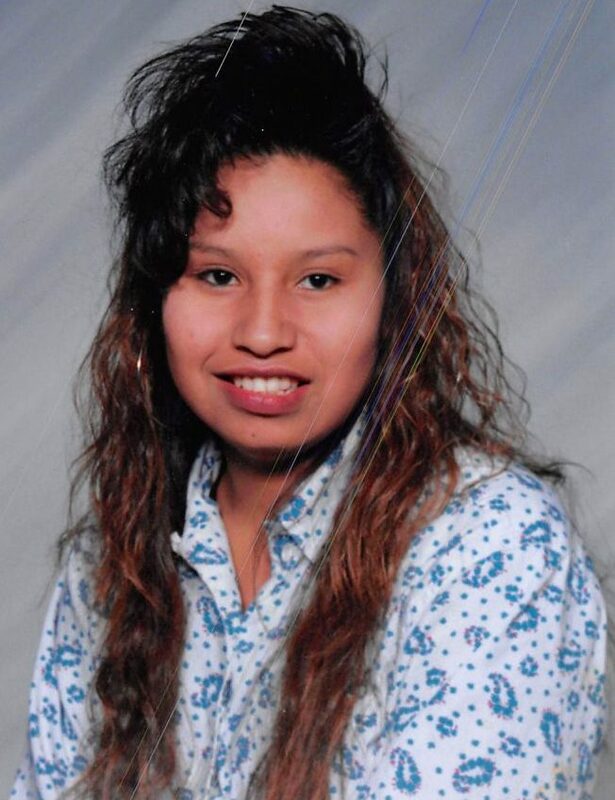 Vernelle Mae Four Bear was born September 28th, 1975. She left us Monday, June 25, 2018. Vernelle was on honor or high honor roll during her elementary, middle, and high school years. She went to school in Poplar and then went to Brockton High and graduated with high honors. The trip to Washington DC was a highlight in her life. She made all of her family members very proud of her achievements. She liked to play bingo when she came home on vacation and always liked to see a pow wow. She was proud of her heritage. Vernelle was a very loving mother, daughter, sister, and auntie and was loved very much by all of her family. She was proud to make it off the rez as she was a Cerified National Optician. Vernelle passed her National Opticians Certification tests around 2003 and worked at Eye Care Associates in Milledgeville, GA until shortly before her death. Vernelle loved spending time with her family, including her three children, Tiana, Taryn, and Talia. She liked the simple life. We will all miss her Dearly. Vernelle is survived by her mother, Ruth necklace; her companion of 23 years, Dr. Ron Ferrell; her daughters, Tiana Four Bear, Taryn Four Bear, and Talia Four Bear; her sisters, Meda Lukkarson, Arden Red Dog Necklace, Amanda Necklace, Rena Williams, and Noren Four Bear; her brothers, Roberto Patino, Cordell Four Bear, Dale Four Bear, and Cornell Four Bear, and aunts, Tiwian Grainger, Lorraine Michaels, Flora Hapa, and Babe Four Bear. Extended families include the First family, the White Eagle family, the Good Soldiers family, the Spotted Birds family, the Choppers family, the Youngman family, the Charboneau family, and Terry Martinez family. She is preceded in death by her father Virgil Four Bear; her sister, Alphine Necklace; Philmore Necklace, William Necklace, Cordilia (Mae) Necklace Dust, and Charles Four Bear; grandparents, Stanley and Maude Four Bear, Mike Youngman, Coretta Yankton, Felicia Necklace, Christine Youngman; nephew Leroy Youpee III, Micheal James Necklace; cousins, Lenora Dust, Thomas Necklace, and Christine Necklace; aunt, Charlotte Good Soldier; and uncles, Raymond Four Bear, and Ervin Four Bear. We apologize if we forgot to mention any family or friends, it was not intentional. My condolences to Vernelle’s family and friends. May the Creator wrap loving arms around all during this time. Vernelle was one of a kind. A rare and expectional person. She will be missed by so many. My prayers go out for my brother and their kids, as well as Vernelles’s family back home in Montana. We love you Vern and will miss you so much. Vernelle was one of the most kind, sweet, nice, gentle, loving and forgiving people that you will ever know. So sorry for your loss Ruth and Terry. May the Great Spirit be with you in your time of sorrow. Prayers for comfort and good health. Vernelle was a very special, sweet, smart, and loving person who loved her family. Dr. Ferrell took care of her every need with great love. We are praying for all the family and will do everything we can to help. Love you dear ones!❤️?? Rest In Peace Vernell. I’ll always remember you as my student from BHS. God bless you and your family. I just heard of her passing. I’m in shock right now. I’m so sorry Ruth and the entire family. You all have my sincere condolences. She was a very good friend of mine while we were kids growing up. And was always good to me. RIP my friend.